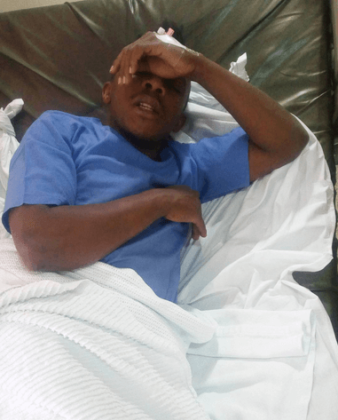 Moneyed artist Papa Dennis is currently in hospital after being involved in a grisly accident. 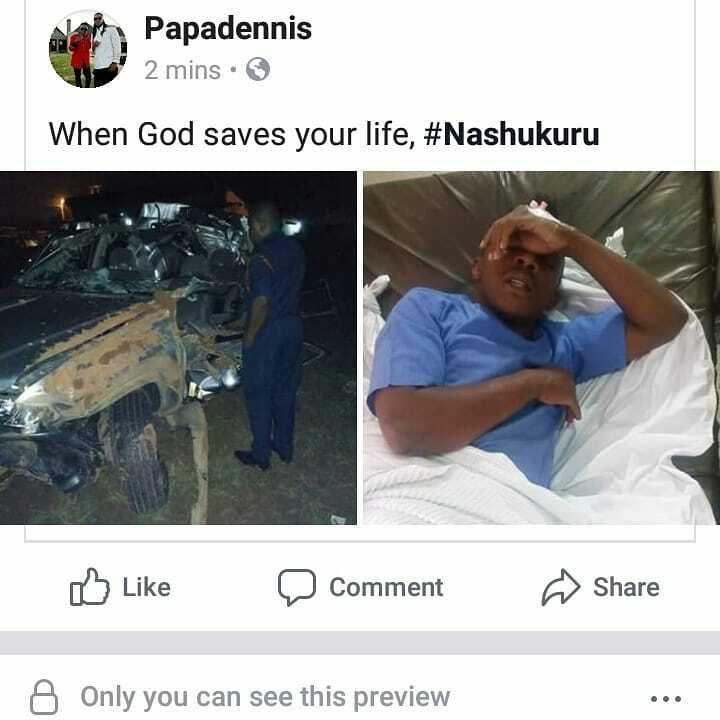 The accident comes just days after celebrating his birthday. 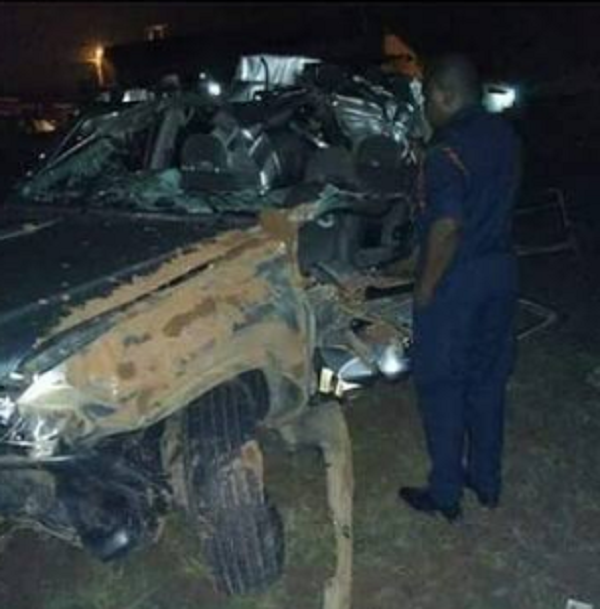 The singer, who has released a song with Ray C dubbed “Tonardo”, took to social media to share photos of a wrecked vehicle he was in. He didn’t share any other details about what happened. The accident comes just a few months after the singer lost his sister Monica Shiko, who was laid to rest in Kitale.